Hope you folks liked the last guest post as much as I did cause you’re about to see a whole lot more of Northern Ontario in the days to come. 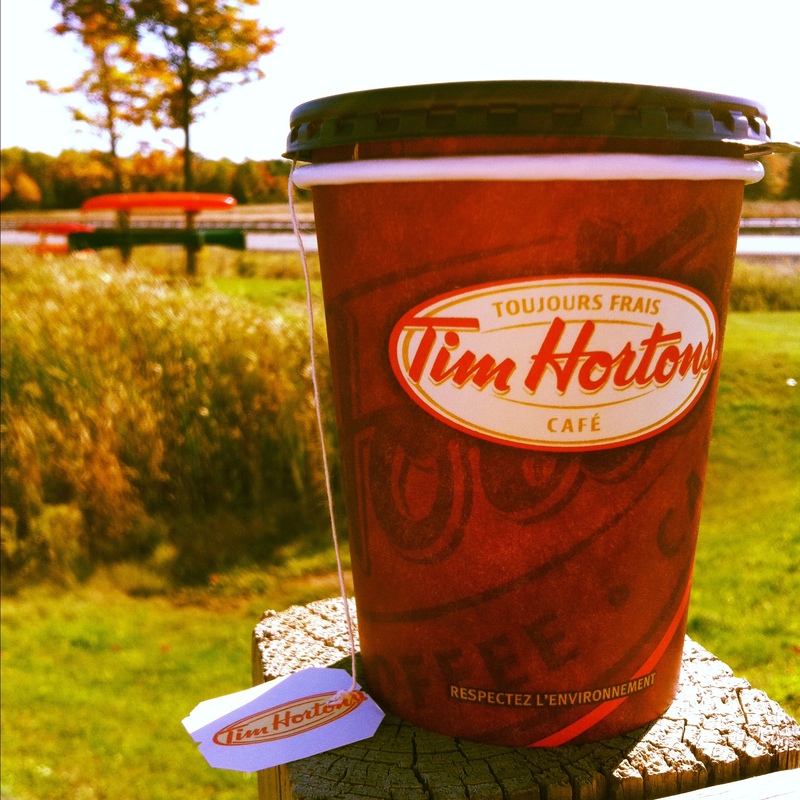 Tim Horton’s Pumpkin Spice tea, enjoyed on the road along the Trans Canada Highway, en route to visit my fam in the teeny town of Lively, Ontario. I’ve already seen fall colours, made some peculiar friends on the greyhound bus and caught my first glimpse of a canoe (if you look closely you can see it behind my timmys cup). Its kind of the best, right? Even though their coffee is terrible, its terrible in a charming way…right? RIGHT?? I miss it so!